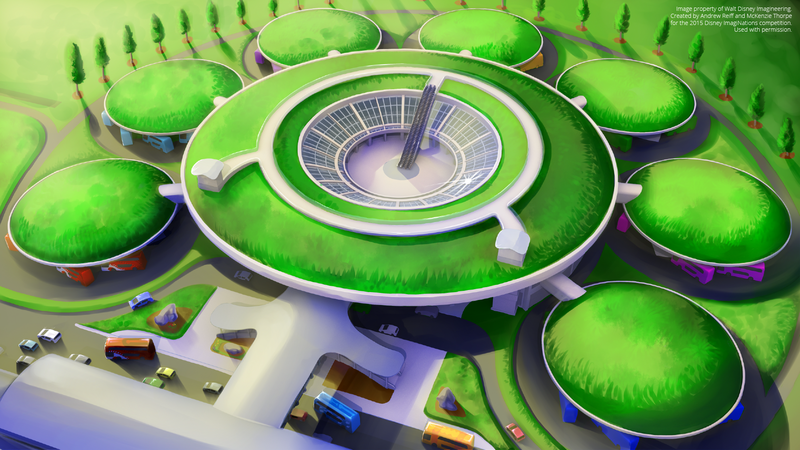 This project is an architectural visualization and a vehicle visualization, developed as an entry in the 2014-15 Disney ImagiNations competition. The public transportation system in São Paulo, Brazil can be revitalized by combining safe and inviting terminal spaces with vehicles that appreciate the diverse regional culture. 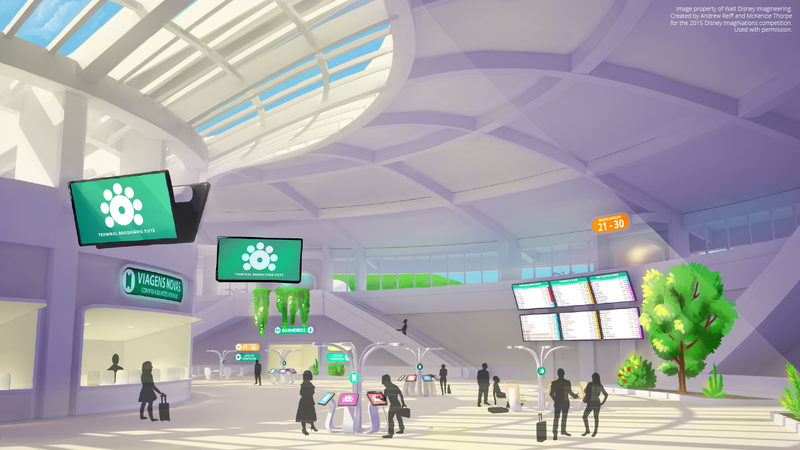 Our team developed brand new designs for the main bus terminal and the heavily-used buses. I worked with new media artist and illustrator McKenzie Thorpe in creating these images. Check out her portfolio by going to mckthorpe.weebly.com (opens in new window). This project as a whole placed as a semifinalist in the competition. As per the competition rules, these images are property Walt Disney Imagineering, and I have permission to showcase them in this portfolio.